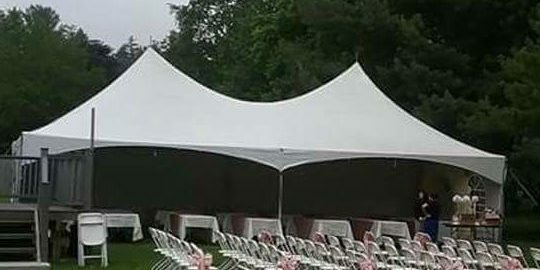 This size tent will fit up to 80 people around tables. It is a free standing tent which means it can be installed on any surface, but is recommended for use on decks, patios and driveways. (Requires space 25″x45″).